I have just returned from a week in Jersey – not the sea and sun holiday you would usually expect. Not for me on this trip as I was coaching alongside my old swimming friend and Coach Sally Minty-Gravett MBE. Sally is known internationally both as a Coach and endurance swimmer (she has been inducted into the Hall of Fame) and swimmers travel from far and wide to train with her. In fact on this Year’s swim camp ladies had travelled from all over the UK, Vermont in Canada and from as far afield as Dubai. The sea was particularly cold and rough on some days – it is interesting how this changes the mind of a swimmer and it’s times like these when it becomes more than just about stamina and physical ability. Mind set and attitude to the sea and elements become key elements to performance. A lady who knows all about this is Maria Conceicao, who I was fortunate to meet and coach. Maria is an un-assuming gentle person and a little power house. In 2005 she set up the Maria Cristina Foundation to help break the chains of poverty for children in Bangladesh. Since the global economic crisis fundraising has been tough. Not beaten by this Maria set about taking on Ultra challenges including climbing to the summit of Mount Everest! 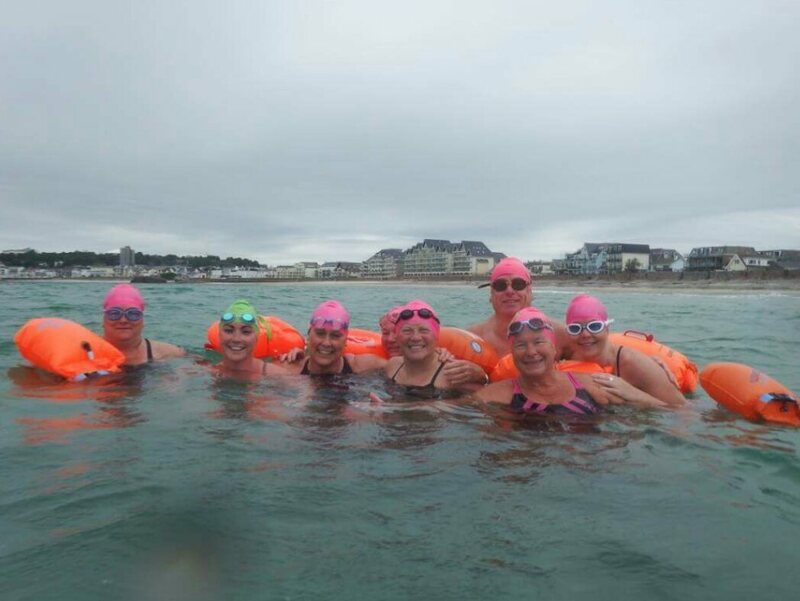 Last year a new more media eye catching challenge was needed – so Maria a non swimmer decided to learn to swim and set about swimming the English Channel in 2016. I myself felt inspired by her commitment and dedication to doing acts of kindness beyond herself. Funding is desperately needed to support the ongoing education and needs of the children. If you can click on the link above and donate.